Welcome to Lash and Glo. LASH & GLO SALON POLICY. By continuing with your booking you are agreeing to our salon and cancellation policy, terms and conditions. We respect that your time is valuable and we appreciate that you understand ours is too. We have a 24 hour cancellation policy. Any cancellations that occur 24 hours or more before the scheduled time are able to be re-booked at no additional cost to the client. The first time a cancellation is made within the 24hr period prior to the time of the booked appointment, the client will be given the opportunity to re-book (with no financial penalty applied). Any subsequent cancellations by or for the same client that occur within the 24 hour period may result in a cancelled booking fee being applied (which will be equal to the value of the service fee for that booking which had been made and subsequently cancelled). Clients who make a booking and subsequently fail to present for their designated appointment (and have not contacted the salon to cancel their appointment), will result in a cancelled booking fee being applied (which will be equal to the value of the service fee for that booking which had been made and subsequently cancelled). As a courtesy, reminder appointments will be sent out 48 hours before your appointment by either text, email or both. All client records at Lash and Glo are treated confidentially and in accordance with legal and ethical requirements. You are paying for Artist time, product and other expenses used to provide your service.. No refund will be given for any reason on services or products. However If you are not 100% happy with the result of your Lashes , please notify me within 48 hrs and I will give you a complimentary touch up service within 3 days of your last appointment. Certain circumstances and seasons may leave you in a panic to squeeze in a last minute lash appointment that is outside of our normal business hours. After hours appointments may be available on a case by case base for an additional $50 fee. Please contact me directly to schedule your after hours appointment. Please park on driveway so as not to incure a parking fine from our friendly ranger. Also please keep in mind we are in a residential area. Please arrive on time. Unfortunately we cannot extend your appointment time for late arrivals. Please arrive make up free so we can make the most of your appointment time. Facilities are available for makeup removal at my salon, but please keep in mind this will take up some of your appointment time. PLEASE REMOVE CONTACT LENSES BEFORE PROCEDURE! I just love you to relax during your appointment. Feel free to treat yourself to a "Lash Nap". This is your opportunity to have some quality "you" time. I will discuss aftercare with you during your appointment. Brushes and cleanser are available for purchase if required. Payment is required before or on the day of your appointment. I accept eftpos, cash and bank transfer. I strongly recommend booking your next appointment before you leave the salon. This guarantees your preferred booking time. Age restrictions do apply; you must be over 18 for lash extensions. OR SIGNED OFF BY A PARENT OR GUARDIAN. Unfortunately children can not be present in the salon due to dangerous equipment and chemicals. LIGHT INFILL 50% of lashes remaining for up to 14 days since last visit. MEDIUM INFILL 40% of lashes remaining for up to 21 days since last visit. HEAVY INFILL 30% of lashes remaining for up to 28 days since last visit. After 28 days from last visit a new full set is required. Do to unforeseen circumstances I am no longer doing infills on other Lash Techs work. Happy to do a new full set but will require removal first. Removal is free when having a new full set. This is a light set for those wishing to try eyelash extensions or who just would like a really light natural look. A light top up recommended every 2 weeks to keep the natural look . Full set of one on one lash extensions are applied to your natural lash. To maintain a full look, it is recommended you come in for refills every 2 -3 weeks. One on One classic lash extension infill to maintain lash fullness and correction of outgrown lash extensions. One on One classic lash extension infill to maintain natural lash look and correction of outgrown lash extensions. This infill is for up to 28 days since the last appointment. Past 28 days will require removal of old lashes and application of a new set. Hybrid is a mid range set that blends both Classic and 3-4D Volume using premade Fans. This is perfect for Ladies who want more than Classic but less than Volume. Hybrid Medium infill best before 21 days since last appointment. Hybrid Heavy Infill is best for upto 28 days since last appointment. Please note anything after 4 weeks will require removal of old lashes and application of a new set. Light Infill is 60mins and is generally advisable upto 2 weeks. If you have had a big shed or lost more than usual, please choose medium or heavy infill regardless of when your last appt was. Medium Infill is 75mins and is generally advisable upto 3 weeks. If you have had a big shed or lost more than usual, please choose heavy infill or make your appointments sooner regardless of when your last appt was. Beautiful super soft 5D-6D premade Volume lashes of the highest quality and super safe and lightweight for your natural lashes. You are purchasing a gift voucher for a set of Hybrid Lash Extensions to the value of $130. Printable certificate will be emailed to you. 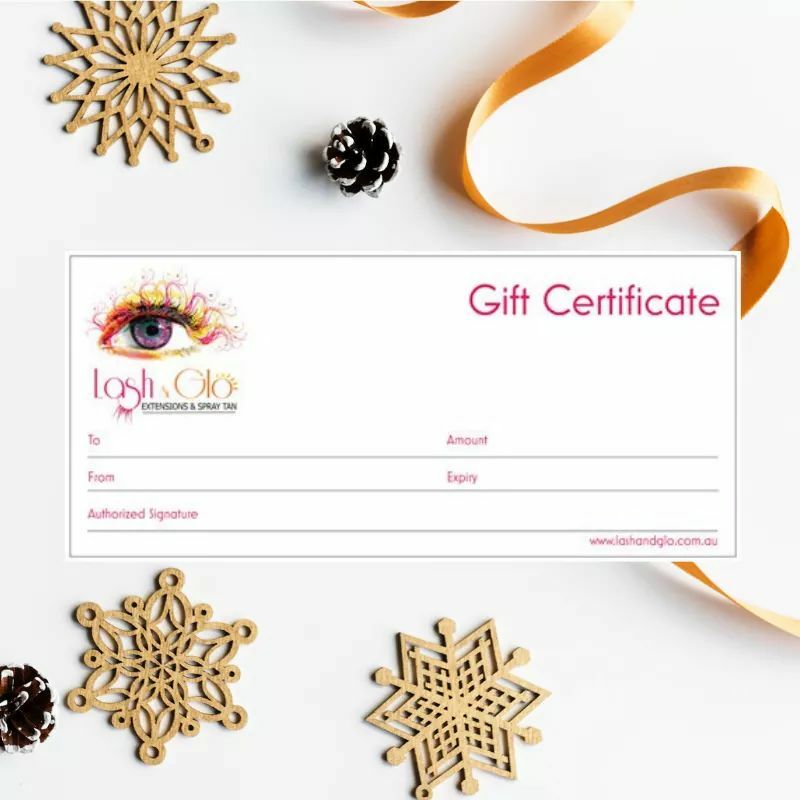 You are purchasing a gift voucher for a 3D Volume lash Extensions to the Value of $150. Printable certificate will be emailed to you.